“I wouldn’t recognise the Balochistan problem if it hit me in the face.” These were words spoken by Henry Kissinger during a mission to Pakistan on behalf of the Kennedy Administration in 1962. The words seem oddly out of place today, for suddenly Balochistan is the subject of protracted debate in the Indian and Pakistani media, following the references made in Prime Minister Narendra Modi’s Independence Day speech from the ramparts of the Red Fort in Delhi. Do the Prime Minister’s words portend a New Age in India’s foreign and security policy? Are they moves on some grand chessboard? The days of that “period piece” as some have called it, the Great Game, may be behind us, but as a metaphor there is still a frisson that the term evokes. In what Kipling called the grand Asiatic disorder of our region, India is still the strategic centre, and our policies and actions will determine the future course of stability in South Asia. There has long been the view that we as Indians should avoid introversion when it comes to dealing with the world and the problems that challenge us. K.M. Panikkar, one of our earliest modern strategic thinkers, was dismissive about pacifism in Indian thought, saying that while Ahimsa was a great creed, the “Hindu theory at all times” was one of active assertion of the right, if necessary through the force of arms. “Wake, be thyself, scourge thy foes” was the teaching of Krishna in the Gita. Indian freedom, in his words, could be “achieved and upheld only by firmly deciding to shoulder our share at all costs in the active defence of the areas necessary for our security”. In the early hours of June, 4, 1989, the Peoples Liberation Army (PLA) of China moved into the iconic Tiananmen Square at Beijing to quell a “Movement for Democracy.” The demonstrators there were mostly students – young boys and girls. In no time thousands of the protestors lay dead due to firing by the troops with assault rifles. Even tanks were pressed in service to quell the movement. In Kashmir, the recent round of protests spearheaded by boys even younger than the Chinese students in Tiananmen Square, have led to the unfortunate death of only 50 persons including civilians and security force personnel this is a clear indication of the restraint that is being exercised in dealing with the situation. The unnatural death of even one Indian citizen or any human being across the world is a matter of great sorrow. This comparison is being made to drive home the point that no government in the world, whether it is a democracy, dictatorship, authoritarian, monarchy or even an anarchy like Pakistan, would ever show as much patience and resilience as has been shown by the Government of India and the Government of Jammu and Kashmir in Kashmir, in the face of grave and sustained provocation by unruly mobs who are holding the region to ransom for no reason whatsoever. There is also no uniformed force in the world which would take as much beating, injury, risk and above all humiliation as is being heaped by wild, cynical and sadistic boys in Kashmir on the security forces operating there. Supporters of Pakistan's Jamhori Watan Party (JWP) hold pictures of their leader, tribal chieftain Nawab Akbar Bugti, as they protest in Karachi on the second anniversary of the killing of Akbar Bugti in a 2006 military operation (August 26, 2008). The 2006 death of the revered Baloch leader set off the fifth and fiercest round of insurgency in Balochistan. It was a sunny day, as I recall, on August 27 exactly ten years ago. I had just finished breakfast and was sitting with my cousin in Pasni, in Gwadar District, when we heard the relentless chants of protesters in front of the Pasni Police Station. Pasni is a coastal town mostly inhabited by fisherman, where literacy is only about 30 percent and 40 percent of the people live below the poverty line. National politics were never a concern there, but that day an outraged crowd of men, women, and children were out en masse to protest the killing of Baloch nationalist Nawab Akbar Shahbaz Khan Bugti the day before. Bugti was killed in the bombing of a cave in Kohlu where he had taken to living, about 150 miles east of Balochistan’s capital of Quetta. This was enough to galvanize the people of Pasni to rail against the government and then-dictator General Pervez Musharraf for engineering the death of Bugti, the former governor and chief minister of Balochistan, as well as chief of the Bugti tribe. Just as the Philippines hauled China before an international arbitral tribunal in The Hague over Beijing’s expansive claims in the South China Sea, Pakistan recently announced its intent to drag India before a similar, specially constituted tribunal in the Dutch city. Pakistan is citing a dispute over the sharing of the waters of the six-river Indus system with India. This is not the first time Pakistan is seeking to initiate such proceedings against its neighbor; nor is it likely to be the last. But it is among the more contentious moves in a long and fraught relationship over water resources. Indeed, seeking international intercession is part of Pakistan’s “water war” strategy against India. When Pakistan was carved out of India in 1947 as the first Islamic republic of the postcolonial era, the partition left the Indus headwaters on the Indian side of the border but the river basin’s larger segment in the newly-created country. This division armed India with formidable water leverage over Pakistan. Yet, after protracted negotiations, India agreed to what still ranks as the world’s most generous water-sharing pact: The 1960 Indus Waters Treaty reserved for Pakistan the largest three rivers that make up more than four-fifths of the total Indus-system waters. The treaty, which kept for India just 19.48% of the total waters, is the only inter-country water agreement embodying the doctrine of restricted sovereignty, which compels the upstream nation to forego major uses of a river system for the benefit of the downstream state. By contrast, China, which enjoys unparalleled dominance over cross-border river flows because of its control over the water-rich Tibetan Plateau, has publicly asserted absolute territorial sovereignty over upstream river waters, regardless of the downstream impacts. It thus has not signed a water-sharing treaty with any of its 13 downstream neighbors. In an interview to The Wire, former R&AW chief A.S. Dulat talks about the need for communication and respect, the difference between Vajpayee and Modi’s strategies, and more. Kashmir has been under a state of curfew for more than a month now. Widespread protests in the Valley triggered by the killing of Hizbul Mujahideen militant Burhan Wani highlight the anger many Kashmiris feel against the Indian state. 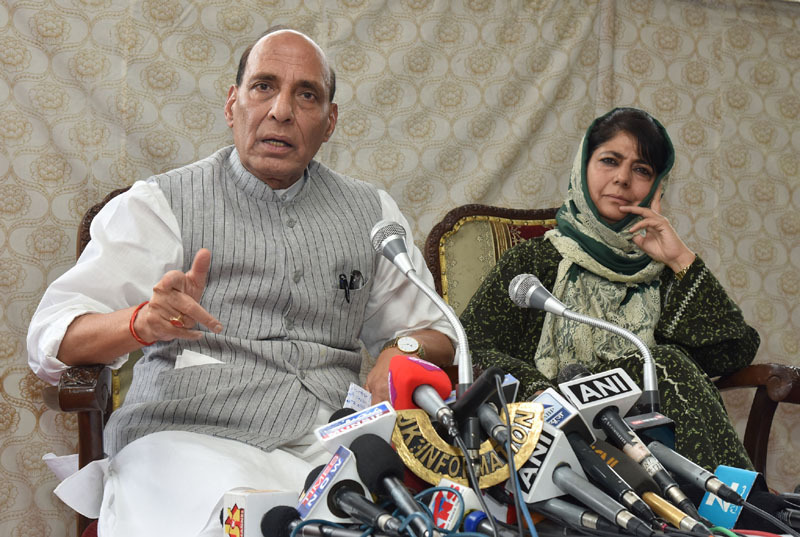 While the Modi government’s ministers have only been pointing towards the role of Pakistan in fuelling the protests, the anguish in the Valley runs deep and carries historical baggage that New Delhi appears unwilling to acknowledge. Although Kashmir has seen similar protests in 2008 and 2010, the intensity of the current resistance against the security forces can be gleaned by the fact that protests have unprecedentedly moved from city spaces to rural areas. Kashmiris across all ages and groups have voiced their support for the current protests, with children and teenagers leading from the front. As the National Democratic Alliance is under attack from various opposition forces for its inability to understand and control the situation, the long-drawn curfew – now in its 50th day – and the resultant suspension of communication has not helped India’s case in Kashmir. In this context, The Wire interviewed former Research and Analysis Wing chief A.S. Dulat to understand the crisis in Kashmir and possible resolutions. Dulat, who also was director of the Intelligence Bureau, has served in Kashmir for a long time. His most important tenure was between 2001 and 2004, when he was the advisor on Jammu and Kashmir in Prime Minister Atal Bihari Vajpayee’s office. Last year, his book Kashmir: The Vajpayee Years, co-authored with senior journalist Aditya Sinha, created a lot of ripples as he became one of the few members of the Indian security and intelligence community to advocate a reduced military presence in Kashmir and to argue the need for India to build confidence amongst Kashmiris through humanitarian measures. Ever wondered about army toilets? Wonder no more. In the 1950s, Readers’ Digest had a column called “Humour in Uniform”. Being an Army Brat (born, raised and transferred), it was interesting to see in print something that was part of our everyday life. Military life is too regimented and stereotyped. For civilians, the military way of life itself is amusing and over the centuries thousands of military anecdotes have kept people regaled. Let me add to the library by narrating two anecdotes from my life with the Gurkhas. By a quirk of fate and also due to my rather non-conformist ways, at 6 years of service, I was transferred to the 5th Battalion, the Fifth Gurkha Rifles (5/5 GR). My first battalion was 4 Sikh, the Saragarhi Battalion, and 5/5 GR was no less. In the 1944 battle of Mogaung, in Burma, as part of the Chindits, the unit had won two Victoria Crosses in a day. As a professional, it did not take me long to earn the respect of my troops, but it took much longer to adapt to the Gurkha way of life. Everything was in sharp contrast to what I was used to. The first lesson was learnt within two days of my joining the unit. On the fateful morning of July 21, 2012, at around 3.00 a.m., unidentified gunmen entered SK’s house where he and his family were residing in Ti village located 12 kilometres from Kokrajhar police station.2 The gunmen opened fire at the family indiscriminately. SK died on the spot due to bullet injuries sustained on his head, back and abdomen. Another five members of his family sustained multiple bullet injuries from the shooting. Four of those injured were taken to three different hospitals. Those treated in Bilasipara Sub-Health Centre, R.N.B Civil Hospital (Kokrajhar) and Fakhruddin Ali Ahmed Medical College and Hospital in Barpeta were discharged after receiving medical treatment. Asyd, their ten-year old son required continued treatment due to several complications that arose from injuries in his groin and thigh. He was initially treated in Fakhruddin Ali Ahmed Medical College and Hospital and then shifted to Patna with financial support from an NGO. However, financial assistance soon dried up and was not extended for further treatment in Pune. The family then found themselves in Jauliapara in a make-shift relief camp which was set up to hold approximately 8,000 Bengali Muslims returning home. 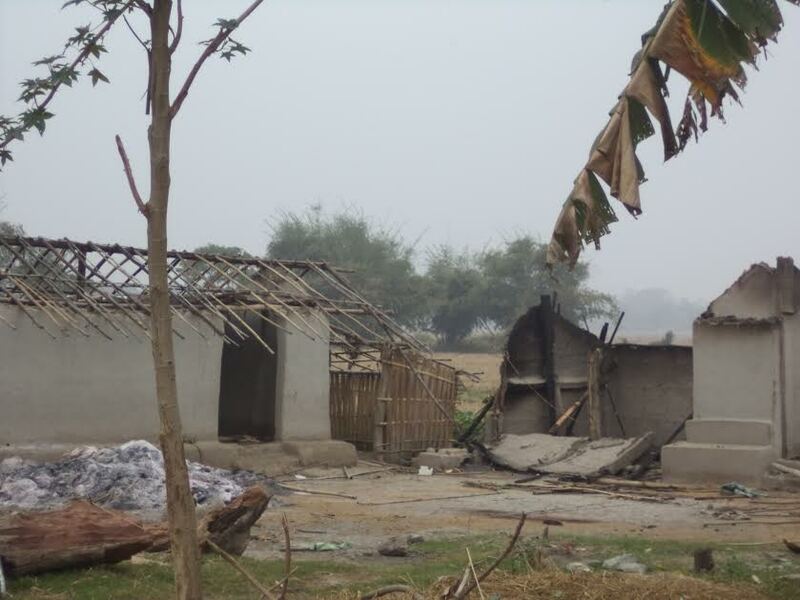 The people living in Jauliapara had originally left from their villages in the aftermath of the September 2012 ethnic violence in Kokrajhar and Chirang between the Bodos and Bengali Muslims. They became part of a floating population of more than 500,000 internally displaced people (both Bengali Muslims and Bodos). ISRO is aware of the looming challenge. Perhaps that is why it is already making efforts to rope in a private Indian consortium to manufacture its workhorse PSLV. It is also working to remove bottlenecks and looking to adding a new vehicle assembly building. 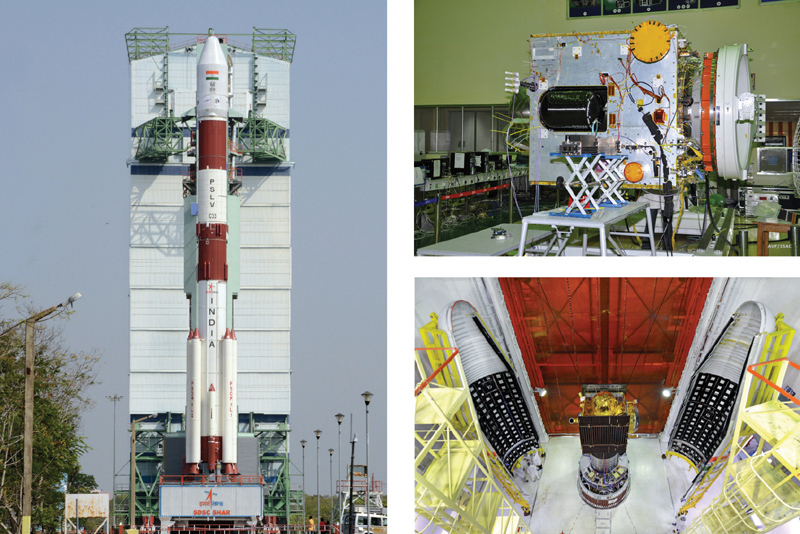 Its aim is to triple PSLV launches from about six to 18 a year. This is a good beginning. But ISRO cannot rest on its laurels if it is to retain the tag of “the lowest-cost satellite launch agency in the world” and what is more, it knows this. Sriharikota in Andhra Pradesh on the coast of the Bay of Bengal is a barrier island that has come to be intimately linked with India’s space exploration dreams. It was on May 23, 2016, that a pioneering launch from Sriharikota’s Satish Dhawan Space Centre (SDSC), operated by the Indian Space Research Organisation (ISRO), made news around the world. Five years after the United States retired its small Space Shuttle fleet, following 133 missions, ISRO dared to attempt a launch of its own shuttle technology demonstrator. And what is more, it succeeded. A slow-burning nine-tonne solid-fuel rocket lifted the 6.5m long scale model of the winged Reusable Launch Vehicle (RLV) weighing 1.75 tonnes to an altitude of about 70 km. Travelling initially at Mach 5, the RLV, made a decelerated glide as planned into the Bay of Bengal. At least two more such prototypes will be extensively tested before the operational version, which may be around 40m long, is ready to fly. Naturally, it must be able to make a soft landing on a runway to qualify it for prompt reuse. That may be by around 2030. Here’s the plan: Fundamentals will have to be redefined and reinvented. PRIME Minister Narendra Modi’s new direction to Niti Aayog is timely, bold and a welcome move, and deserves serious attention. Through this, the Prime Minister laid down the road map for India in the next century, and has set a very high benchmark for Niti Aayog. His call of planning for preparing India for the 22nd century is something, I believe, that the Niti Aayog members would not have envisaged. The Prime Minister has rightly cautioned the Aayog members, and called for not repeating the mistakes of the past, and also suggested ways to avoid them. PM Modi has clearly conveyed that he expects a transformational change that positions and prepares India for the next century. The agenda discussion gives a sense that the Aayog should start in the right direction. Indications are that over the next three decades, India could grow at near double-digits, but this will bring its own set of challenges and opportunities as well. India will have to plan for resources that not only take care of the increasing population, but also the changes within the total population and the fast-changing country’s landscape. This will need to forecast and provision for water, nutrition, health, human resources, education and energy will have to be made for the increasing population, and the generation of adequate resources to support the roadmap. The Prime Minister’s vision calls for productive jobs for every hand, with a focus on agricultural productivity and profitability. Importantly, the Aayog will need to factor the impact on environment in all plans that have to be achieved. The only upside of the leak of 22,400 highly-classified documents relating to the Indian Scorpene is that it is now no secret that this submarine in the Indian fleet is a naval and national security liability. That this vast trove of secret material went missing in 2011 suggests that anybody who wanted access has had it — especially Pakistan and Chinese intel agencies — for the last FIVE years. In other words, had the documents not been leaked to ‘The Australian’, the Indian Navy and govt would have gone serenely about their business, assuming that the supposedly super-stealth qualities of this French item would surprise an adversary or two in war! It is certain that the Pakistan and Chinese navies are by now fully in the know of the minutest aspects of this boat’s on-board weapons, sensors, combat management system, etc, and that this boat is an open book and, unbeknownst to GOI/MOD/Indian Navy, has been for the past many years. Will IN risk taking this platform to sea? It will be blown out of the water at the first instance of hostile action. And yet GOI and Indian Navy seem to believe the crock put out by the French company DCNS and the French govt that this material out in the market may be “sensitive but [is] neither critical nor confidential”. Come again?! In fact, the navy maintains, per some news stories, that as the documents have redacted parts, the secrets are hence not out! This is laughable stuff. It appears the navy is, in fact, guileless and gullible. If it is, God save India! And, what’s the guarantee this is all the documents that have been leaked? Is the Modi regime going to believe Paris and risk it all, or rely on common sense of which there’s always been a deficit in Delhi? The BJP dispensation is not doing the one set of things that are imperative: Immediately TERMINATE the Scorpene contract, STOP production of this submarine at the Mazgaon Dockyard Ltd, Mumbai, and START the process of recovering the monies paid out so far to DCNS in the cumulative $24 billion deal. To make it amply clear India means business, Delhi should recall its ambassador, ask Paris to withdraw its envoy, and if satisfaction is not forthcoming especially on financial restitution, the promise of more serious actions to follow. What’s simply astounding about GOI’s (Parrikar’s) and the Indian Navy’s reaction to this massive leak at the DCNS end is their (1) complacent attitude (compare this to the alarm generated in Australia, which is buying another version of the Scorpene), (2) attempt to minimize the prospective damage to national security and the complete compromizing of the Scorpene submarine platform, and (3) straining to clear DCNS and France of any responsibility and hence legal and monetary LIABILITY for an event that normally should immediately imperil bilateral relations and, at the very least, result in the Indian govt demanding full financial restitution in terms of return of all monies paid so far in furtherance of the Scorpene contract, a massive deterrent penalty imposed on the French Company, and stopping of all Scorpene deliveries from the Mazgaon Dockyard Ltd (MDL). The first unit, Kalavari, and the next one coming up 4 years later than scheduled produced under DCNS aegis are now virtual junks. And an agreement with Paris that it will pay for whatever remedies may be available to make the two Scorpenes at all serviceable as fighting platforms (rather than as pleasure boats that, perhaps, can cart tourists seeking full submersible experience off the Mumbai shore). Indeed, the sea trials of the first of Kalavari, has to be terminated, and DCNS asked to take it back, not deliver the second one, unless these two submarines are to, whatever extent, modified to exacting professional standards. Recall in this respect that Prime Minister Rajiv Gandhi threatened to shut down bilateral relations with France in 1987 because of the infamous Coomar Narain case — a French defence attache was caught with official documents purloined by Narain, a “wheeler dealer” working for a wealthy Indian, Maneklal, as “economic intelligence”, precipitating an emergency visit by French President Francois Mitterand. (Referhttp://indiatoday.intoday.in/story/spy-scandal-with-more-arrests-new-facts-emerge-from-confessions/1/353922.html.) If that relatively slight offence produced such a huge reaction from Delhi, shouldn’t an unimaginably more significant event by the French supplier that pretty much finishes off the country’s submarine capability have proportionately graver consequences? Such as, at a minimum, an instant termination of contacts and military and every other contract? But here we have a maun Modi and a Parrikar who doesn’t seem to even understand the gravity of the situation. Also bear in mind when perusing the published sample documents accompanying the story that these are in the “Restricted” category. Even so the Australian paper has felt compelled to redact the more sensitive data in them. There must be frightfully more sensitive documents in the trove of 22,400 off documents with much higher classification status now available to anyone willing to pay (Pakistan, China). Answering 3 critical questions about the leaked information on India’s submarines. The Scorpene data leak is a body-blow for the Indian navy. Already suffering from a critical shortage of submarines to protect its littoral-seas, the navy must now deal with allegations that its principal submarine project, a venture being pursued in partnership with the French company DCNS, has been badly compromised. In a damning disclosure, The Australian reported that it had seen crucial files that revealed critical data about India’s Scorpene program, with equipment and operational specifications outlined in such minute detail that India’s future submarine operations could be severely jeopardized. Stung by the revelations, the navy has ordered an inquiry, but is struggling to come to terms with the leak’s operational implications. What was the source of the leak? Was this a case of cyber theft? Aung San Suu Kyi will guide Burma in the foreseeable future. It would be in India’s best interests to invest in Suu Kyi’s friendship and goodwill. Aung San Suu Kyi is coming to India in October. She will guide Burma in the foreseeable future. It is best for India to square things with her and it would be eminently sensible to invest in the Burmese stateswoman’s friendship and goodwill for this country. Countries are usually terrible at crystal-gazing. Worse, they are often unable to decide the better course in foreign policy when the external situation is confusing. It does not always help to be ideological and Realpolitik brings constraints and consequences of its own. When India inaugurated ties with the Burmese military junta, a lot of people were shocked, and not least Aung San Suu Kyi. From a land that produced M. K. Gandhi, so the stock narrative went, this was the last thing that was expected. But states may be moral up to a point. The Chinese were making inroads into Burma and India had to counter their influence. The Indians and the Burmese get along better that the Burmese and the Chinese. The Chinese come with the hubris of a “Great Power” and aim to swamp the country with the Chinese way of life. The Burmese resent this. They are an insular people and possessive of their unique Buddhist traditions, one of the things which bind them to India. So while China beat India to Burma, it soon found the going rough. During military rule itself, the Chinese discovered themselves blocked in major infrastructure projects. A view took hold that the Chinese were colonisers of sorts, and that Burma’s polity and culture were under threat. This has happened wherever the Chinese have gone. It got more angular in Burma which has remained obsessively suspicious of the “foreigner”. ‘An information technology-based war at sea is sudden, cruel and short…’ was how the Chinese military characterised a peer-to-peer naval conflict at sea in a public statement at the beginning of the month during PLAN naval exercises. The exercises, occurring in the East China Sea, were designed to increase the PLAN’s ‘assault intensity, precision, stability and speed of troops amid heavy electromagnetic influences’ or in other words, electronic warfare. China and the United States are preparing and force posturing to contest the electromagnetic spectrum in the South China Sea and further north in the East China Sea. One of the defining characteristics of China’s actions in the South China Sea has been the construction of radar installations across the majority of its artificial features in the region.According to CSIS’s Asian Maritime Transparency Initiative, a variety of radar installations have been constructed on Cuarteron Reef, Fiery Cross Reef, Gaven Reef, Hughes Reef, Johnson Reef, Mischief Reef and Subi Reef. The purpose of these installations will vary and some will have dual uses—for instance a few of the radars on Fiery Cross and Subi Reef will be used to facilitate air operations from the runways housed on those features—but together, the facilities will significantly expand the real-time domain awareness and ISR capabilities of the PLA over a large portion of the South China Sea. Publically, radar facilities appear to be less escalatory than anti-air missile batteries, artillery or even runways in terms of the infrastructure installed on the artificial features. They do somewhat support China’s officially stated intention of using the features for search and rescue. But the reality is that they’re of enormous use to the PLA and a pressing concern for other nations operating in the region. 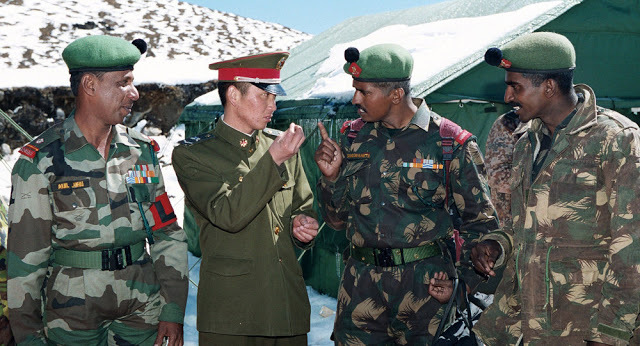 Wu is the longest serving Chinese officer on the Roof of the World. He has been around for more than 40 years. Till yesterday’s he was deputy party secretary (a post that he has been occupying since 2011). Strange but true, the tone, tenor and template of the Chinese diplomacy does not seem to have changed in these last 57 years! “Some Indians are too self-centered and self-righteous. On the contrary, the Indian government behaves decently and is willing to communicate. Throwing a tantrum won’t be an option for New Delhi,” it said. Crew members stand guard on the deck of Chinese People’s Liberation Army (PLA) Navy ship Zheng He as it docks at the Myanmar International Terminals Thilawa (MITT) port on the outskirts of Yangon, May 23, 2014. Two PLA Navy ships, Zheng He and Wei Fang, arrived that day for a five-day friendship visit to Myanmar. Chinese Communist Party Secretary Xi Jinping kicked off the latest round of People’s Liberation Army (PLA) reforms at a September 3, 2015 military parade. Aside from reducing the PLA’s size by 300,000 personnel, the reforms eliminated the corruption-prone general departments, adjusted the command structure to focus more on joint operations, and consolidated the theater command system. The reforms, likened by some analysts to the sweeping U.S. military changes that resulted from the 1986 Goldwater-Nichols Act, could result in a leaner, more combat-effective PLA. This could create new operational challenges for the U.S. military in the Western Pacific, limiting U.S. ability to intervene in a crisis related to the self-governing island of Taiwan or elsewhere in the region. Do these reforms improve the PLA’s chances of defeating the U.S. military in a battle over Taiwan or the South China Sea? The PLA’s composition will shift from a heavy focus on ground forces to a more balanced mix of army, navy, air force, and missile units. The navy and air force are expected to grow in numbers and budget share even as the army shrinks. This will improve the PLA’s ability to conduct operations on and over water. Beijing’s response to the unfavorable South China Sea arbitration outcome has highlighted an important aspect of its military strategy, the “three warfares” (三战). Consisting of public opinion warfare (舆论战), psychological warfare (心理战), and legal warfare (法律战), the three warfares have been critical components of China’s strategic approach in the South China Sea and beyond. In peacetime and wartime alike, the application of the three warfares is intended to control the prevailing discourse and influence perceptions in a way that advances China’s interests, while compromising the capability of opponents to respond. Beijing has sought to delegitimize the arbitration process and achieved some success in undermining the coalescence of consensus in support of the ruling, while engaging in coercive signaling and deniable attempts to punish the Philippines. China’s response has also included “regularized” “combat readiness patrols” over the South China Sea by H-6K bombers, as well as Distributed Denial of Service (DDoS) attacks against Philippine government websites (China Military Online, August 6; China Military Online, July 19; InterAksyon, July 15). Consistently, Beijing has attempted to advance narratives that frame itself as the upholder of international law, while claiming that the U.S. is to blame for the “militarization” of the South China Sea (China Military Online, June 23). For instance, official media has frequently characterized the arbitration process as a “farce,” and China’s ambassador to the U.S., Cui Tiankai, has argued that the arbitration case would “undermine the authority and effectiveness of international law,” justifying China’s rejection of it as a defense of “international justice and the true spirit of international law” (Xinhua, July 12; PRC Embassy to the U.S., July 13). These aspects of Beijing’s response should be contextualized by China’s theoretical framework for the “three warfares.” Beyond the South China Sea, this approach has been manifest in a variety of recent cases, including also the East China Sea dispute, China’s opposition to THAAD, and intensifying pressures on Taiwan. The PLA’s evolving strategic thinking on the three warfares, which is linked to its emphasis on information warfare, could influence its efforts to utilize such techniques in future contingencies. (CNN)About a year ago, China and the United States formally agreed not to conduct or knowingly support the cyber theft of each other's intellectual property. So, how is that agreement working out? Not great, said Adm. Mike Rogers, head of US Cyber Command. "Cyber operations from China are still targeting and exploiting US government, defense industry, academic and private computer networks," Rogers said last April during testimony before a US Senate committee. Cyber theft of US trade secrets can easily ruin American businesses and result in higher prices for consumers. Even more worrisome, stolen American military secrets could put US servicemen and women at risk during combat. "Russia and China are growing more assertive and sophisticated in their cyber operations,"White House spokesman Josh Earnest told reporters last July. Mikael Wigell believes China’s growing presence in Latin America could 1) unleash greater regional integration; 2) increase Brazil’s strategic interest in its neighboring countries; and 3) permit the area to pursue greater autonomy from the US and Western institutions. Here’s how Europe and the US should respond. This article was originally published by the Finnish Institute of International Affairs (FIIA) on 11 August 2016. China is rapidly growing its presence in Latin America. While the Chinese activities are predominantly economic, they have long-standing strategic consequences for Europe, the US and the region itself. China’s massive infrastructure projects help connect the different regions of South America, which may unleash stronger regional integration. At the same time, this redirects the commercial flows of South America towards the Pacific, increases Brazil’s strategic interest in its neighbouring countries, and gives the region the opportunity to pursue greater autonomy from the US and Western institutions. Having been slow to react to China’s geoeconomics, Europe and the US not only risk being displaced economically in South America, but also risk losing important political influence. They now need to devise their own geoeconomic strategies in order to revive their engagement with the region. Recently, the regional political situation has become more favourable for Europe and the US, with a changing of the guard towards more pro-Western political leadership. They should now seize the moment and engage with Latin America on a more equal footing by offering actual multilateralism, in contrast to China’s more bilateral approach. In attacking the iPhone of human rights defender Ahmed Mansour, the Emirati government reportedly bought a rare, zero-day, Israeli exploit of Apple’s iOS. When a government seeks to rein in a political opponent by listening in on his calls, reading his text messages, and spying on his meetings, how do they go about doing so? In the case of the United Arab Emirates and pro-democracy activist Ahmed Mansoor, they sent him a short text message. “New secrets about torture of Emiratis in state prisons,” the Aug. 10 and 11 SMS messages to Mansoor read. The texts included a link, and had Mansoor clicked it, his phone would have turned into a powerful surveillance tool for an entity that researchers believe is the Emirati government. Pegasus, the software used against Mansoor, allows its operator to record phone calls and intercept text messages, including those made or sent on nominally encrypted apps such as Viber and WhatsApp. It can mine contact books and read emails. The software can also track its subject’s movements and even remotely turn on the phone’s camera and microphone. 'Little pink' web users are jumping onto Twitter and Instagram to call out enemies of the state. Pentagon scientists worry that the U.S. could be on the losing side of a AI arms race. The Defense Science Board’s much-anticipated “Autonomy”study sees promise and peril in the years ahead. The good news: autonomy, artificial intelligence, and machine learning could revolutionize the way the military spies on enemies, defends its troops, or speeds its supplies to the front lines. The bad news: AIin commercial and academic settings is moving faster than the military can keep up. Among the most startling recommendations in the study: the United States should take “immediate action” to figure out how to defeat new AI-enabled operations. In issuing this warning, the study harks back to military missteps in cyber and electronic warfare. While the Pentagon was busy developing offensive weapons, techniques, plans, and tricks to use against enemies, it ignored U.S. equipment’s own vulnerabilities. That cycle could repeat itself in the field of AI, says the study. Some security experts say it wouldn't even take Russian government-backed hackers to manipulate actual votes in some of America's antiquated tallying systems. Some key swing states have declined an offer from the Homeland Security Department to scan voting systems for hackers ahead of the presidential elections. As suspected Russian-sponsored attackers compromise Democratic Party and other U.S. political data allegedly to sway voter opinion, some security experts say it wouldn’t even take the resources of a foreign nation to manipulate actual votes using this country’s antiquated tallying systems. Against this backdrop, Homeland Security Secretary Jeh Johnson during an Aug. 15 call with state election officials, offered statesDHS services that can inspect voting systems for bugs and other hacker entryways. Earlier in the month, he also suggested the federal government label election systems as official U.S. critical infrastructure, like the power grid. But some battleground states, including Georgia and Pennsylvania, say they will rely on in-house security crews to maintain the integrity of voter data. Ransomware is an escalating, increasingly sophisticated threat—and no one seems to be immune. This ebook looks at how the malware works, who it’s affecting, steps to avoid it, and what to do if you’re attacked. Although ransomware initially targeted home users, it is spreading quickly into the enterprise. Recent reports from security firms such as Kaspersky, Symantec, and FSecure offer a scary view of how ransomware attacks are evolving, spinning off new variants and upping the ante as hackers go after lucrative targets like universities and hospitals. Public sector banking as we know is set to undergo an overhaul because of the rapid technological transformation occurring around the world. This would not have been a problem for public sector banks if they were ready for it. Unfortunately, they are still taking it slow and are doomed to fail. It is doubtful if more than five or six public sector banks will survive the next decade without becoming a perennial drain on taxpayer resources. Technological change and competitive challenges are going to disrupt and demolish public sector banking as we know it, but there is little sign that the incumbents and their bosses are ready for it. The government’s “slowly, slowly” approach to public sector reform is doomed to fail, for the change ‎is heading towards us at express speeds. It is doubtful if more than five or six public sector banks will survive the next decade without becoming a perennial drain on taxpayer resources. The coming change is going to be traumatic for them. The need of the hour, apart from emergency capital infusion, is privatisation and not just managerial autonomy, for time is running out. If five to 10 PSU banks are not to become unreformable white elephants like Air India or MTNL, the government must give divestment legislation total priority - even higher than GST - for this is about life and death. Banking is about to shift from physical points of presence to the smartphone, aided by Aadhaar-enabled payments, cashless money transfers, falling transaction charges, and technology-driven revolutions. The mobile phone will replace ATMs, credit and debit cards, and even chequebooks and cash with the creation of the Unified Payments Interface (UPI) developed by the National Payments Corporation of India (NCPI). Branches are an unnecessary overhead beyond an absolute minimum.‎ Unfortunately, public sector banks are all overhead and no propeller - all fat and no muscle.